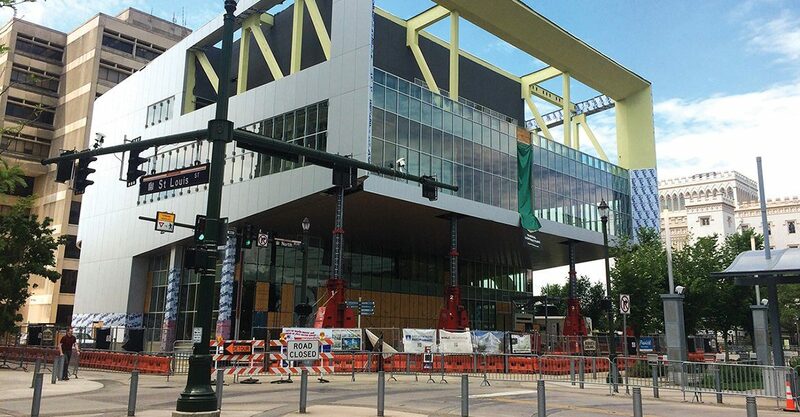 The city-parish has retained a private law firm to represent it in the escalating legal battle over the under-construction downtown library, which has been stalled since a structural failure was discovered last spring. Walters, Papillion, Thomas and Cullens will be taking over from the parish attorney’s office, which filed a lawsuit on behalf of the city-parish in late November against architect and project manager WHLC Architecture-Schwartz/Silver, and general contractor Buquet and Leblanc. Both defendants and their insurance companies have denied responsibility for the structural failure, first discovered in April 2018 and will cost at least $1.2 million to repair. Instead, they place blame on the structural engineering firm, Texas-based Structural Consultants Associates. The retention of outside counsel comes as the parish attorney’s office is in a state of flux. Assistant Parish Attorney Tedrick Knightstead was originally the lead attorney for the city on the case, but his resignation takes effect at the end of the month. Earlier today, Parish Attorney Lea Anne Batson announced her resignation in advance of a Metro Council meeting later this week, at which members were scheduled to vote on whether to hold a termination hearing that could have resulted in her firing. Attorneys J. Cullens and Darrel Papillion will handle the case. Still unclear is whether the city will front money to resume construction of the project and make repairs or look elsewhere for that funding.